The next version of Mozilla Firefox 3.0.8 has just been released; it was not long ago since version 3.0.7 was announced. Anyway, I will keep things short here and tell you what are the changes in this version. Basically, the Mozilla Firefox developers have fixed 2 security issues in this release. These are the only changes so far, as announced on the release note. I believe these fixes are rather critical, so if you are using 3.0.7, perhaps you should consider upgrading right away. 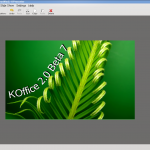 Linux users, or rather KDE users, would be delighted to know that KOffice developers have released their 7th beta version for KOffice 2.0, which could potentially be the final beta release before the first Release Candidate (RC) version is out. There will be more information coming up next week from KDE. The main focus in this beta release is on crashes, data loss, ODF saving and loading. As this is still currently undertaken as development stage, users might want to avoid installing on production machines. 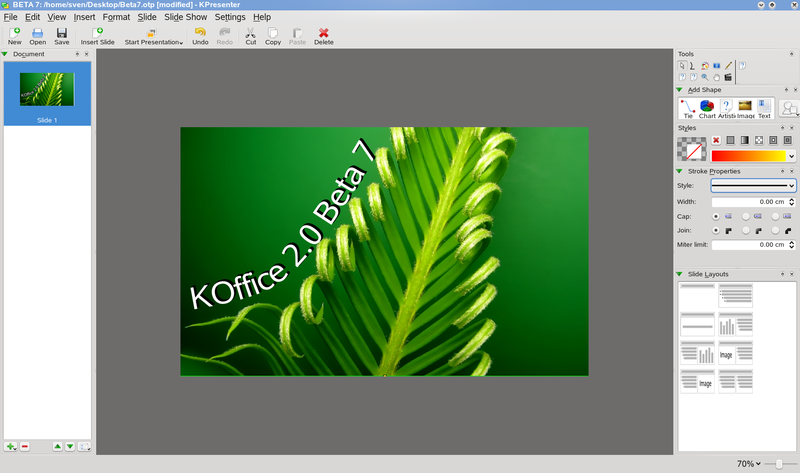 Linux users should easily know how to install KOffice. Simply access your respective repository to search for KOffice packages and install it from the KDE repository. Since the last release of Firefox 3.0.6, the next 3.1.x version of Mozilla Firefox is still yet to be released. On the other hand, we already have the next stable (official) version of Firefox 3.0.7 in the market. The main reason why the 3.1.x version is still not available because several plugins are still currently not supported by that version. * Official releases for the Estonian, Kannada and Telugu languages are now available. * Items in the “File” menu show as inactive after using the “Print” item from that menu – switching to a new tab restores them. This issue has been fixed. * For some users, cookies would appear to go “missing” after a few days. * Mac users of the Flashblock add-on, experienced an issue where sound from the Flash plug-in would continue to play for a short time after closing a tab or window. * Fixed several issues related to accessibility features. Pidgin 2.5.5, the widely-popular Internet Messaging client is now released. This application supports several protocols, such as MSN, Yahoo!, Google Talk, QQ and ICQ. There is also a portable version available for users to download and install on removable drives, i.e. 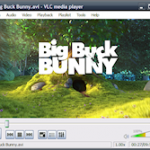 Pidgin 2.5.5 Portable. I believe there are a lot of Pidgin users out there right now and I do not have to go into details about this wonderful, brilliant software, that supports both Windows and Linux platforms. The only drawback, once again, is the lack of webcam ability. Apart from this, it is a piece of fantastic messaging application. I practically could connect to various networks at once. The availability of the portable version also makes it ultra mobile. Saving the entire application into a thumb drive, users can plug onto a USB ports of any PC (with Internet connections), wherever you go. Interested users can download the application from the link below. Within a short period of time, WordPress 2.7.1 RC 1 has matured and officially released. Between version 2.7 and 2.7.1, 68 tickets have been fixed. All of us might be waiting for the newest version of Mozilla Firefox to be released, however it still does not beat the current stable (official) version of Firefox 3.0.6. The main reason is that there are still plugins that are currently not supported by the latest version of Firefox 3.1.x. # Fixed several security issues. # Fixed several stability issues. # In previous versions of Firefox, some users experienced a problem where parts of the screen were not properly displaying after Firefox was open for long periods of time. # Improved the ability for scripted commands (including those included in popular extensions like Adblock Plus) to work properly with plugins. # Removed the client user ID from crash reports. # Fixed issues with the display of some Indic scripts. In spite of this, WordPress users are still unable to utilise the Upgrade functionality on the WordPress software to automatically upgrade to this release candidate version. However, it isn’t too bad either, to just wait a couple more days for the final (stable) version to be available. However, if you still bend on getting your hands onto the latest release, you can download from the link below. Just note that, it is important to avoid deploying on production machines. After a long wait, the almost-ready final version of Microsoft Internet Explorer 8 is drawing near. Coupled with several enhancements, there were many features included in this latest release of Internet Explorer, such as the ability to view driving directions, translate words and instant emailing of sites to others – all done in a few mouse clicks with as minimal hassle as possible. Besides, Microsoft also incorporates the new Accelerator feature that is meant to improve user-surfing experience. You are currently browsing the archives for the Fun Stuff category.